My guest on the blog today is author Lisa Hobman, whose debut novel Bridge Over the Atlantic (later re-released as A Seaside Escape) was shortlisted in the Romantic Novelists Association’s Romance Novel of the Year 2014 (The RoNAs) – Contemporary Romance Category. Lisa has kindly agreed to answer my questions. Over to you, Lisa. What inspires your story ideas or characters? My inspiration mainly comes from places I visit in Scotland. Something will speak an idea for a character, for example, with A Seaside Escape, the inspiration was the beautiful little stone bridge at Clachan Seil. How do you go about starting a new writing project? I usually begin by making notes in a notebook or if I’m not at home I use my memo pad app on my phone. Then I tell my hubby all about the idea and he listens to me brainstorming! ‘You haven’t failed unless you’ve given up trying.’ Not a clue if anyone famous said it but I do try to live by it. As a teenager it was Wuthering Heights by Emily Bronte. It means more to me now that I’m an adult as I think I understand it more. I love the way Ms Bronte gave depth to her characters and brought the bleak locations to life. It’s my dream to be as well-loved an author. 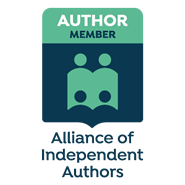 Meeting other authors! Especially the ones I’ve admired for so long. Although I have to admit to getting quite star struck at the 2014 RONA when I met Lisa Jewell as we were shortlisted in the same category. I had a bit of an ‘I carried a watermelon’ moment! Name someone who has been influential in your writing career. My husband. He encouraged me to start writing in the first place. Before that it was my parents who used to read all my stories as a child and encourage me to carry on. What are your writing goals long term and/or short term? To be an influential author who has touched the lives of many readers. I think it’s what most authors aspire to. To be successful and know that my stories are loved by others. Crime/Mystery novels. I’ve been desperate to try my hand at them but in all honesty I think I’m a tad too squeamish and wimpy! Seeing as I mentioned Wuthering Heights before I will say The Catcher in the Rye. It’s filled with teen angst and as a teenager when I read it I absolutely related! Who are your favourite fictional characters? (Your own or someone else’s). The character who means the most to me in my own writing is Greg from A Seaside Escape. He was so loved by my readers and will always have a special place in my heart for that reason. Harry Potter. Oh to have such a vivid imagination to be able to create worlds! It must be so wonderful! Your book is going to be filmed! Name your dream cast. If you’d asked me this a few years ago I would have said A Seaside Escape’s cast list was firm in my mind but as time has passed this has changed. Originally it would have been Gerard Butler as Greg but these days I think a dark haired Sam Heughan would be perfect! Mallory is a bit more difficult. I struggle to imagine who I would cast in her part. Someone stunning with long dark wavy hair and curves. Perhaps someone like Martine McCutcheon, although she’d have to be good at a Yorkshire accent! Your book is going to be filmed! Which song would you choose for the theme? Chasing Cars by Snow Patrol. It’s such an important song to the book. My daughter. She’s a joker and has an amazing ability to make me giggle whether with a silly dance or a meme she has found online. My hubby too. He has the power to make me laugh when I’m in a foul mood. It’s quite annoying sometimes! Name one thing you would change about your life. Just now I wouldn’t want to change a thing except my ability to stick to a diet! Facebook. I’ve met so many wonderful readers via that medium and I have it to thank for so much. I’ve managed to reconnect with old friends too which is just wonderful. What did we ever do without social media? The best thing is receiving messages from readers who have absolutely loved one of my stories. I never envisaged that would be something I experienced so it really does make me feel blessed. The worst thing is probably the isolation of writing. But thanks to social media I don’t feel too lonely. You’re stuck in a lift with three other people. Who would you like them to be? My hubby, my daughter and someone with a huge picnic basket full of food! If it was to be famous people it would have to be Alanis Morisette, Eddie Vedder from Pearl Jam and Gary Lightbody from Snow Patrol. I absolutely love music and singing and I think we could occupy ourselves with music until we were rescued. I now have my very own little office. My dad put up book themed wallpaper and I’m surrounded by quotes from inspirational writers. I also have a view of my garden from there as it’s upstairs. Lisa is a happily married mum of one with two crazy dogs. She especially enjoys being creative and now writes almost full time. In 2012 Lisa and her family relocated from England to their beloved Scotland; a place of happy holidays and memories for them and her new location now features in all of her books. Writing has always been something Lisa has enjoyed, although in the past it has centered on poetry and song lyrics. Some of which appear in her stories. Lisa is currently signed to UK publisher Aria Fiction – an imprint of award winning Head of Zeus. All work and no love can make for a dull life. But cupid’s arrow has a habit of striking when you least expect it… A heartwarming, feel-good romance to curl up with this winter. Perfect for the fans of Marian Keyes and Veronica Henry. You can buy A Seaside Escape from Amazon, Kobo, iBooks and Google Play. You can find out more about Lisa by following her on Facebook or on Twitter.